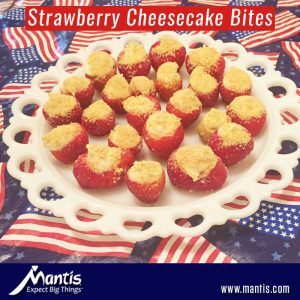 Strawberry Cheesecake Bites are a quick and easy with less calories than regular cheesecake! 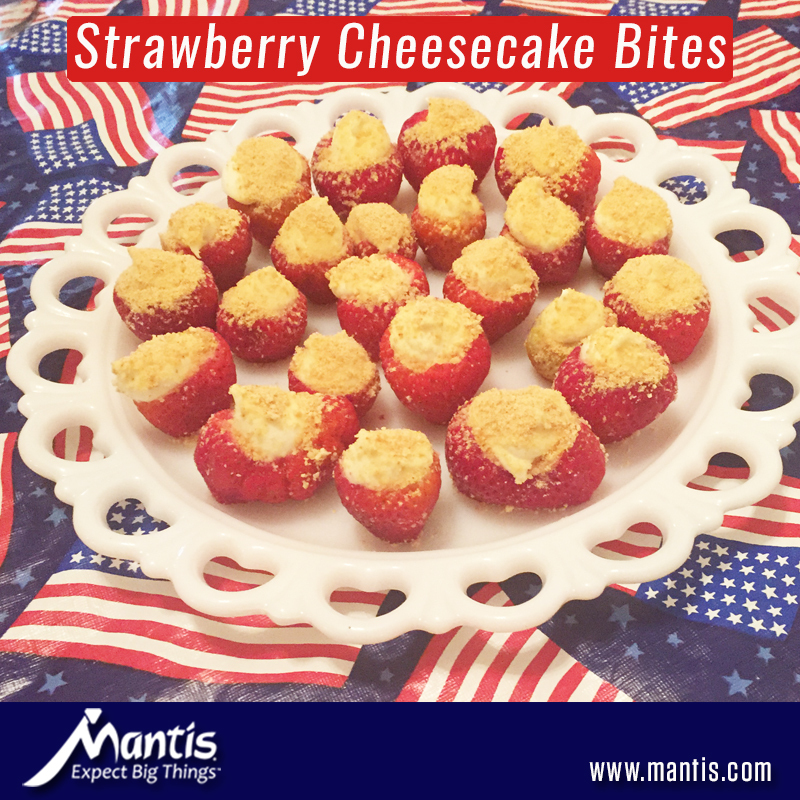 This delicious dessert is perfect for picnics, holidays, barbecues……really for anytime. Enjoy! Half the calories of regular cheesecake! Rinse strawberries. From each strawberry remove a slice off the bottom (so strawberry sits up) and remove the top and hull. Place cream cheese in medium bowl; beat with mixer until smooth; about 2-3 minutes. Add in heavy cream and confectioners’ sugar; beat until fluffy. Garnish with graham crackers and serve.